Monukka raisins come from a seedless black grape. Occasionally this variety of raisins contains immature seeds which make them slightly chewy to eat. They are plump and delicious with a complex flavor that is extremely satisfying. 2 or 3 seeds contained in each raisin provide much more than a pleasant crunch. The seeds of these Certified Organic raisins are loaded with beneficial polyphenols, making Monukka raisins even more of a superfruit than other varieties. 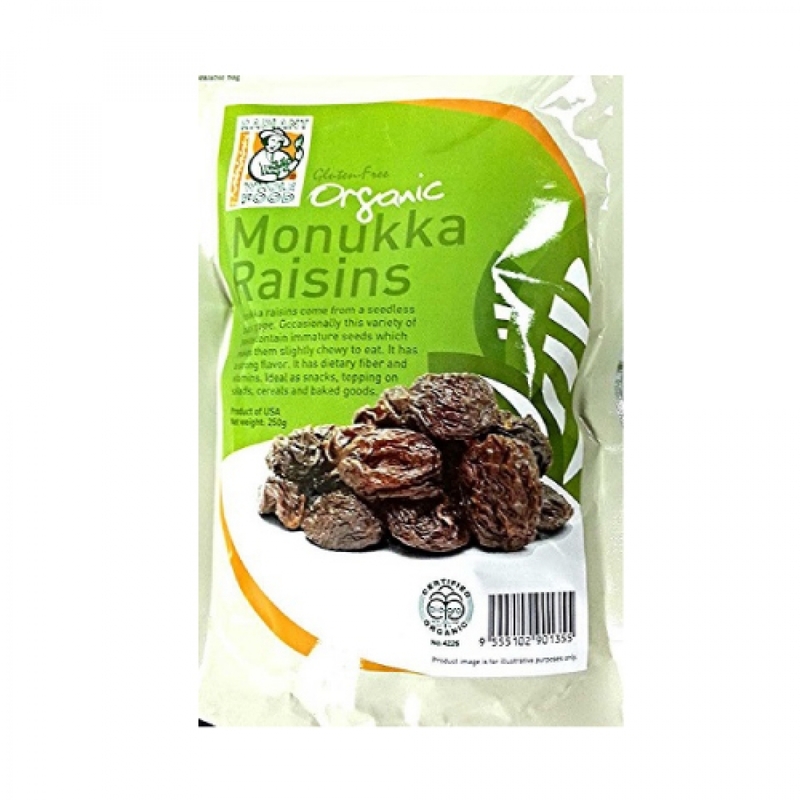 Radiant Organic Monukka Raisins are sun-dried, without the use of sulphur or anything artificial. Just the way nature intended. They’re naturally delectable without any added sugar—perfect for a healthy snack!! Add colour and variety to your favorite recipes for rice pudding, quick breads or muffins by using Monukka raisins. Sprinkle a handful of Monukka raisins over a bowl of hot oatmeal, barley, or any cold cereal. Mix Monukka raisins with lightly roasted and salted nuts for a delicious snack.